The armor is familiar, but the man inside isn't who you'd expect! 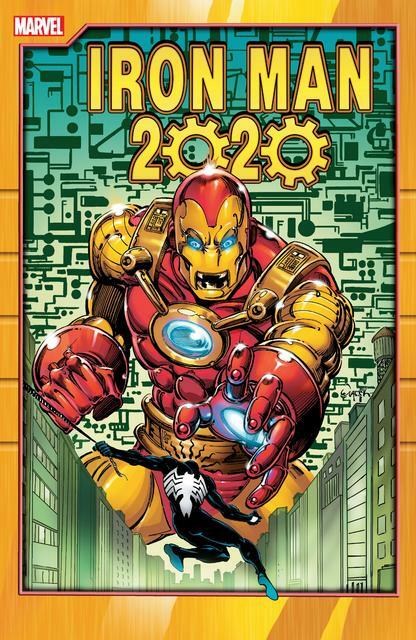 He's Arno Stark, the cold and hard-hitting Iron Man of the future - and Tony Stark's descendant has quite a legacy to live up to. Catch all the futuristic action as Arno battles Spider-Man and Blizzard in a time-traveling adventure to stop a nuclear terrorist; faces Machine Man at the behest of Tony's old foe Sunset Bain; and clashes with the original Death's Head, industrial saboteur Marcus Wellington and the high-flying Commodore Q! Can Arno overcome his foes - and himself - to become the hero he's modeled himself after? Collects Old Man Logan (2016) #36-40. New York's new mayor, Wilson Fisk, has banned vigilantes from the Big Apple! 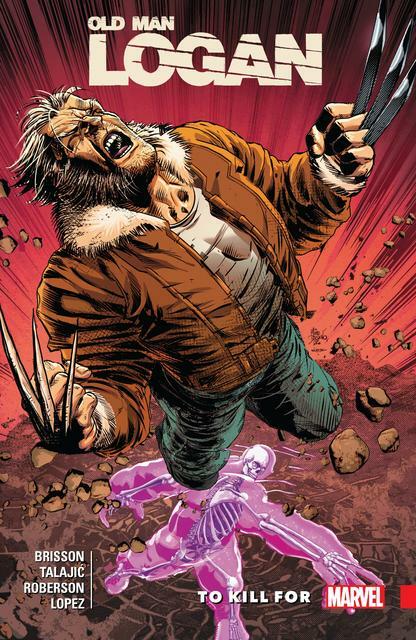 But Logan may have information that can take down the Kingpin! Fisk won't surrender without a fight, though. Now that he's acquired political power, he'll do anything to hang on to it! Which means that even as Logan hunts down the Kingpin's biographer hoping to get dirt on the big man, he himself is being targeted by... Bullseye! Prepare for a knockdown, drag-out fight in the classic Marvel manner, pitting the best there is against the man who never misses in a bloody battle across Manhattan! Plus: As a wounded Logan returns to the X-Men, an old pupil asks for help. And when the Xavier Institute comes under attack, it's all Glob Herman's fault! 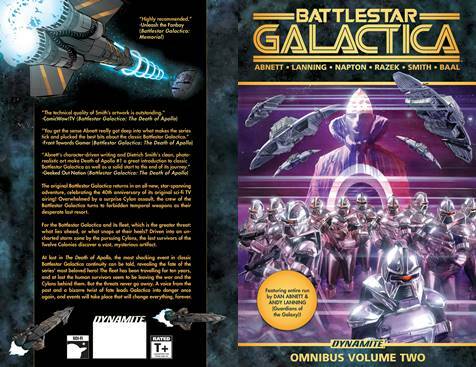 Collecting all 11 issues of Dynamite's successful run of Battlestar Galactica: Origins along with the Battlestar Galictica: Zarek mini-sereies, focusing on the characters and events of the award-winning Sci Fi series! 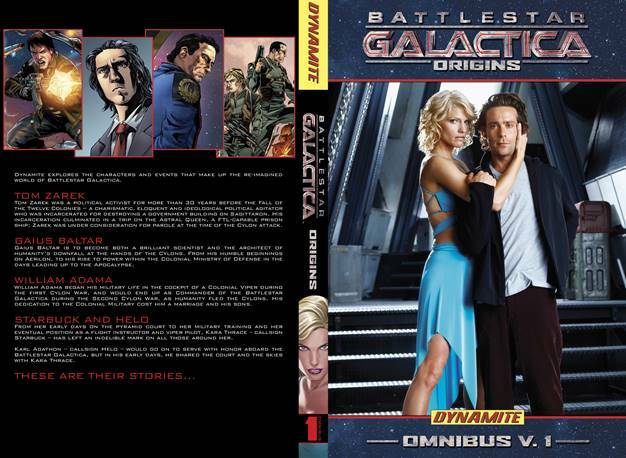 Featuring the 'origin' tales of the commander of the Galactica, William Adama, as well as Tom Zarek, Gaius Baltar, Kara 'Starbuck' Thrace and Karl 'Helo' Agathon. From the academy to their assignment onboard the Galactica, follow them on this previously untold tale! 11 Issues! 1 Collection! The original Battlestar Galactica returns in an all-new, star-spanning adventure, celebrating the 40th anniversary of its original sci-fi TV airing! Overwhelmed by a surprise Cylon assault, the crew of the Battlestar Galactica turns to forbidden temporal weapons as their desperate last resort. For the Battlestar Galactica and its fleet, which is the greater threat: what lies ahead, or what snaps at their heels? Driven into an uncharted storm zone by the pursuing Cylons, the last survivors of the Twelve Colonies discover a vast, mysterious artifact. At last, the most shocking event in classic Battlestar Galactica continuity can be told, revealing the fate of the series' most beloved hero! The fleet has been travelling for ten years, and at last the human survivors seem to be leaving the war and the Cylons behind them. But the threats never go away. A voice from the past and a bizarre twist of fate leads Galactica into danger once again, and events will take place that will change everything, forever. Dynamite Entertainment is proud to bring back the original crew of the Battlestar Galactica, the heroes of the classic 1978 sci-fi sensation, as imagined by the all-star comic book team of Rick Remender (Uncanny Avengers), Javier Grillo-Marxuach (Annihilation), Marc Guggenheim (Agents of SHIELD), Carlos Rafael (Warlord of Mars), and Cezar Razek (Doc Savage)! 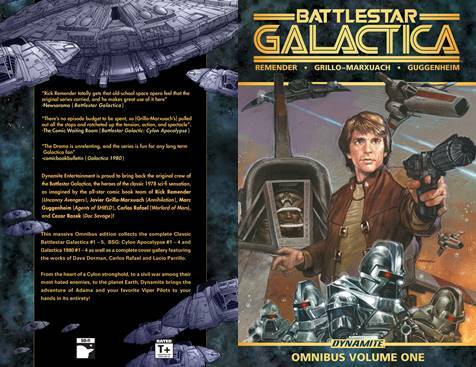 This massive Omnibus edition collects the complete Classic Battlestar Galactica miniseries (2006), plus BSG: Cylon Apocalypse (2007) and Galactica 1980 (2009). From the heart of a Cylon stronghold, to a civil war among their most hated enemies, to the planet Earth, Dynamite brings the adventure of Adama and your favorite Viper Pilots to your hands in its entirety! The graphic novel adaptation of one of the most celebrated books of all time is now complete! This edition contains the entire story. Published in 50 countries with over 22 million copies sold, The Golden Compass, The Subtle Knife, and The Amber Spyglass are renowned for their engrossing storytelling and epic scope. These modern classics are must-reads for every book lover. 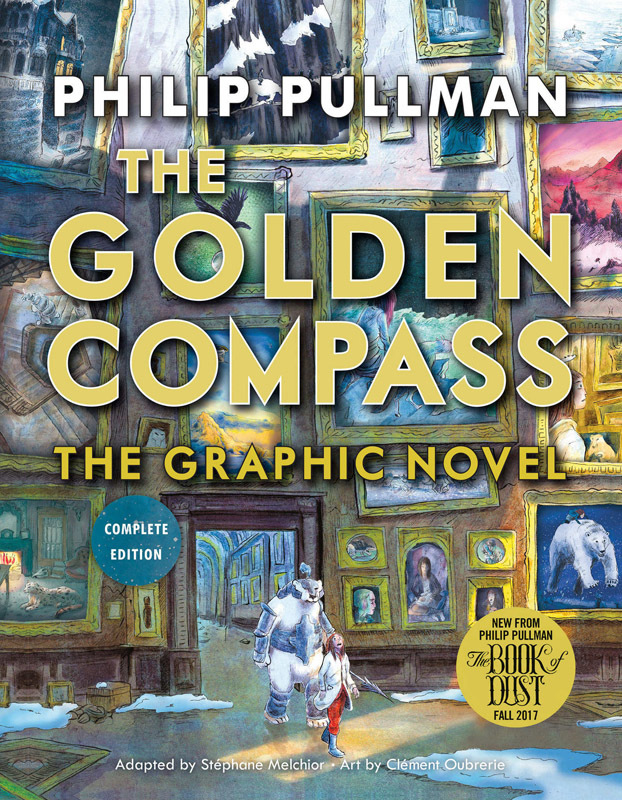 Now, in this graphic novel adaptation of The Golden Compass, the world of His Dark Materials is brought to visual life. The stunning full-color art will offer both new and returning readers a chance to experience the story of Lyra, an ordinary girl with an extraordinary role to play in the fates of multiple worlds, in an entirely new way. This volume collects the full journey of Lyra to the far North, her rescue of the kidnapped children at Bolvanger, her escape via hot-air balloon, and her fated role in Lord Asriel's ambitions to build a bridge to another world. This edition feature gorgeous full-color narrative art and will appeal to traditional comic and graphic novel readers in addition to returning His Dark Materials fans. The future: a dying Earth has been abandoned, the poor and weak left behind. While Earth's elite survivors colonized Mars, its outcasts--the miscreants, criminals, fringe-dwellers, crackpot scientists, and sociopaths--fled inward, to Venus ("a place fit for scumbags"). Three generations later, the denizens of Venus, strengthened by hardship forged in brutality and hellish conditions, are thriving. Attracted by the successful launch of Venus's second floating "cloud city," the corporate fascists of the Mars Council launch an insurgency for control of Venus... but Braxton, the third generation leader of this colony of outlaws, will fight to save his family dynasty. 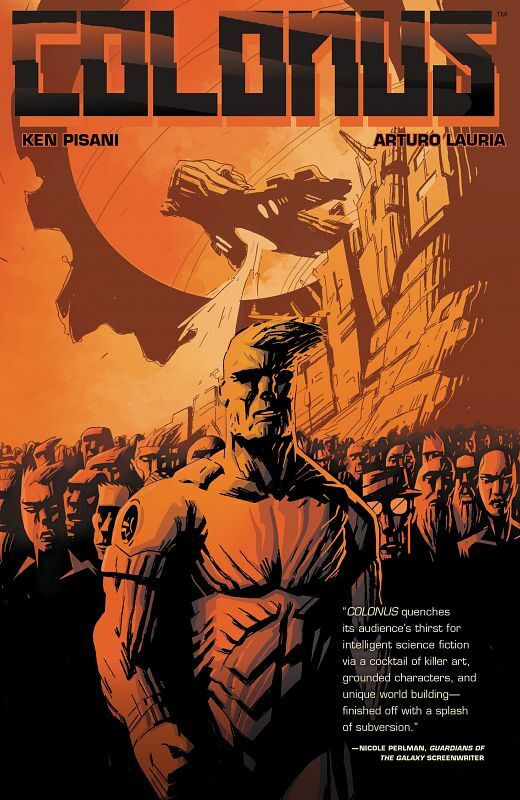 Previously published in Dark Horse Presents, this is the collection--and continuation--of Ken Pisani and Arturo Lauria's highly praised sci-fi drama Colonus. What if man journeyed into space in 1869, not 1969? In search of the mysterious element known as aether, Claire Dulac flew her hot-air balloon toward the edge of our stratosphere - and never returned. One year after her disappearance, her son and husband are delivered a tantalizing clue: a letter from an unknown sender who claims to have Claire's lost logbook. 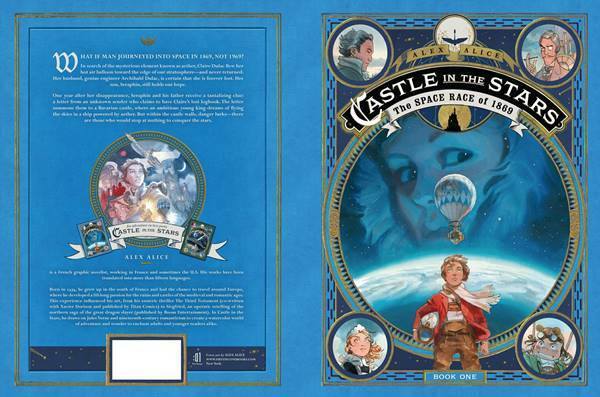 The letter summons them to a Bavarian castle, where an ambitious young king dreams of flying the skies in a ship powered by aether. But within the castle walls, danger lurks, for -there are those who would stop at nothing to conquer the stars! 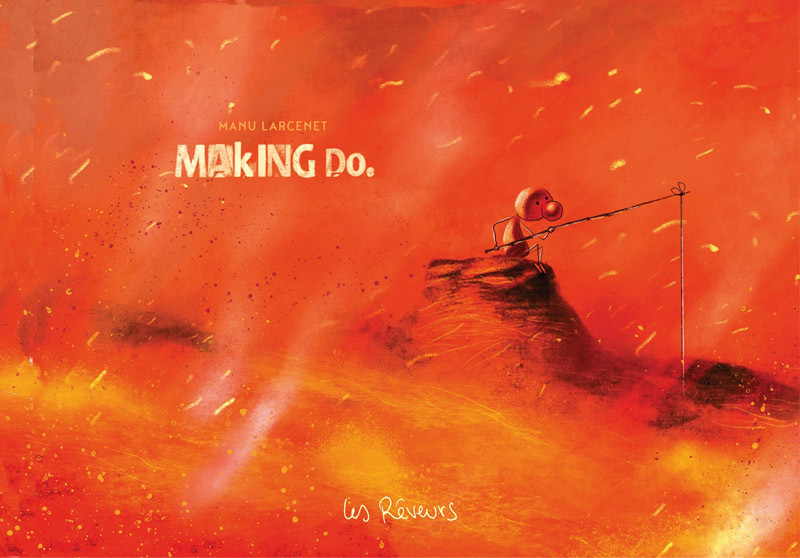 Manu Larcenet shares his personal thoughts and puzzlements about mysteries such as God, death, love, war, the other, to name a few.